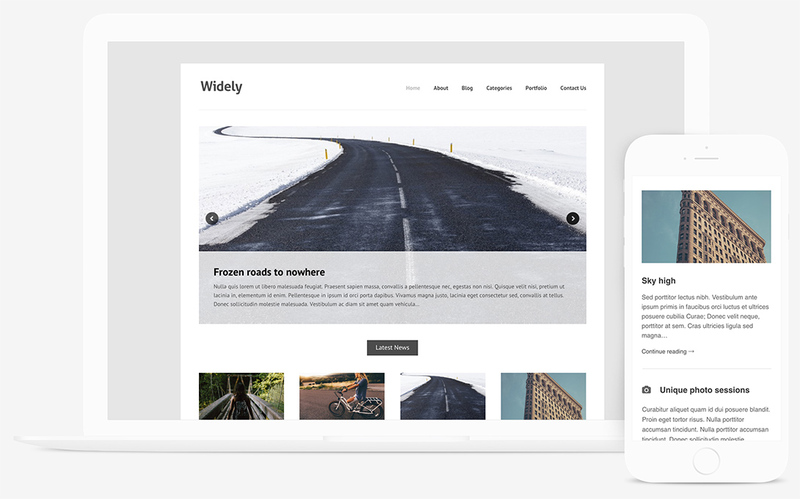 Themes Kingdom produces some of my favorite free themes in the WordPress market, including this one – the Widely theme. Its power is in its minimalistic design, coupled with its clean portfolio page template. The Widely theme allows you to set a nice featured image that is displayed at the top of every post and supports video post formats as well. If you’re looking for something clean and minimal in design, then this is a great place to start. Feeling like starting a photo journal? Fantastic! Widely is the perfect place to set up your stories and show them gracefully. Its compact and minimal details let your content shine. Excellent Theme. Thanks for posting!